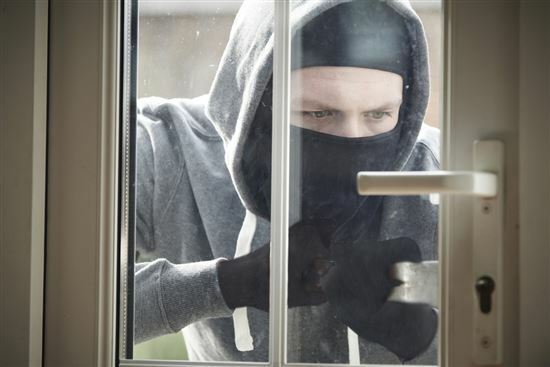 23 Alarming Burglary Statistics: Is Your House Safe? Burglary is a serious crime that has the potential to affect its victims in a number of ways, including financially, emotionally and physically. Keep reading to learn just how common this crime is and how deep its impact goes. How often does a burglary occur? There's a burglary happening right now. One in every 15 seconds. An alarm system reduces the chance you'll get burglarized. See why burglars single you out. How many homes are burglarized each year? 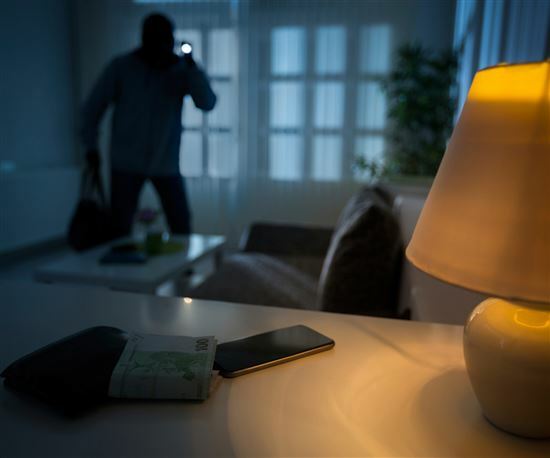 Pinning down the exact number of burglaries that occur each year is difficult, but according to the most recent data from the FBI, roughly 2.1 million break-ins were reported in 2012. How many burglaries occur each day? When you do the math, the total number of burglaries comes to roughly 5,800 per day. That's approximately 1 burglary every 15 seconds. Is burglary becoming more or less common in the U.S.? Surprisingly, burglary is on the decline in America, with 5.6% fewer burglaries reported in 2012 compared to 2008. How often does burglary occur compared to other property crimes? 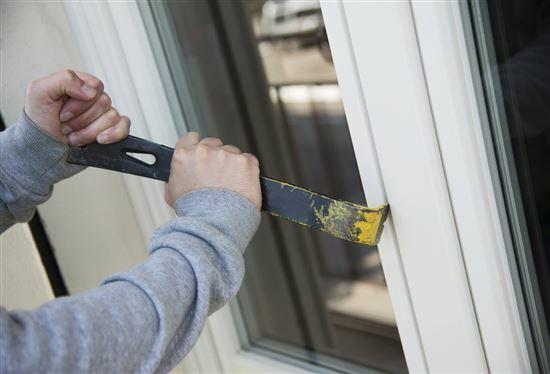 While the number of burglaries has slowed down somewhat in recent years, they still account for 23.4% of all property crimes committed in the U.S.
What percentage of burglaries involves forcible entry? The vast majority of burglars make their way into their victims' homes by using strong-arm tactics. Nearly 60% of all burglaries committed in 2012 involved some degree of forcible entry. What percentage of burglaries involved trespassing? Close to 34% of burglaries that were reported in 2012 were categorized as unlawful entries. Another 6.3% were classified as attempted forcible entry. Where do the majority of burglaries occur? Overwhelmingly, burglars target private homes versus businesses or commercial properties. In 2012, 74.5% of burglaries took place in residential areas. How much does burglary cost its victims on average? Some burglary victims experience larger financial losses than others, but on average, the typical thief makes off with $2,230 in property, cash, or other valuables. How does the total financial cost add up? Collectively, burglars rake in a pretty decent payday for their criminal acts. In 2012, the overall cost of property losses reported following a break-in came to $4.7 billion. How many guns do burglars steal each year? According to the Bureau of Justice Statistics, 1.4 million guns were reported missing in connection with a burglary between 2005 and 2010. That averages out to 232,400 guns that were stolen annually. What percentage of burglaries involves the theft of a gun? Only a small fraction of burglaries overall involve the loss of a firearm. A gun theft was reported in just 4% of burglaries that occurred between 2005 and 2010. What items are most likely to be stolen in a burglary? In 34% of the burglaries reported in 2011, electronic devices and household appliances were targets of theft. That represents a 6% increase over 2011 figures. How often do burglars cause physical harm to their victims? Between 2003 and 2007, approximately 7% of burglaries involved acts of violence against the victims. Altogether, there were more than 266,000 reports of assaults during a burglary. What percentage of violent burglaries involves serious injury? In burglaries where the victim suffered a physical attack, a serious injury was reported 9% of the time. In 36% of such cases reported between 2003 and 2007, the victim's injuries were considered minor. How often do burglary victims know the perpetrator? In 65% of household burglaries, the person who was victimized knew the person who committed the break-in. Only 28% of victims said the burglar was a stranger. How likely are burglars to use a weapon? For burglaries occurring between 2003 and 2007, burglars were unarmed 61% of the time. In burglaries involving violence, offenders carried a firearm 12% of the time. Which state reports the highest burglary rate? By and large, the Golden State experiences the highest number of burglaries. Californians reported nearly 246,000 burglaries in 2012. Which state has the fewest burglaries? Crimes of all kinds are relatively rare in Wyoming, and burglary is no exception. In 2012, there were just 2,125 incidents reported. How often do burglars target empty homes? Between 2000 and 2007, the burglary rate for unoccupied homes dropped from 26 to 21 victimizations per 1,000 households. Approximately 8 out of every 1,000 households experienced a burglary while someone was home. Interestingly, the majority of burglaries take place in broad daylight. In 2012, approximately 732,000 burglaries occurred during the day, which is double the amount reported after dark. How many people are arrested for burglary each year? FBI statistics suggest that the majority of burglars get away with their crimes. There were just under 194,000 arrests for burglaries made in 2012. How many juveniles are arrested for burglary? Most burglary suspects are adult males but in 2012, 36,000 of those arrested for burglary were under the age of 18. What percentage of burglary cases are cleared each year? 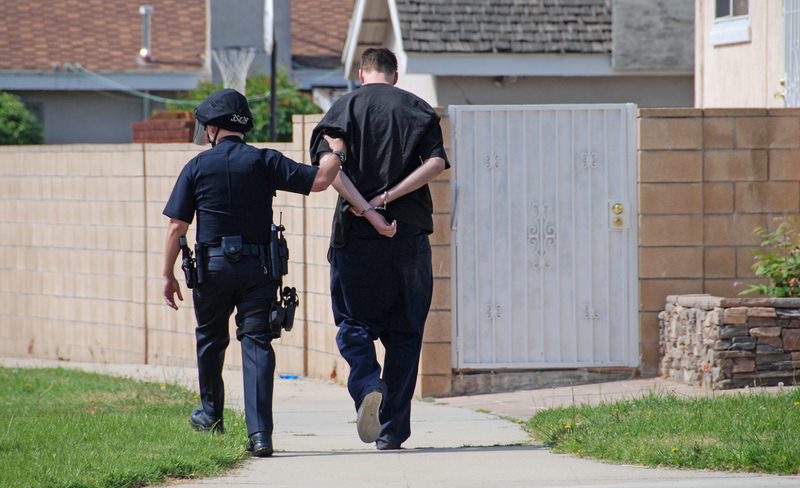 The Uniform Crime Reporting program considers a burglary case to be cleared when someone is arrested, charged, and turned over to the courts for prosecution. In 2012, 12.7% of all burglary offenses were officially cleared. While the decline in burglary rates is definitely good news, it remains a serious problem in the U.S. These statistics offer some eye-opening perspective on how common it really is, what burglars are after, and who they tend to be (usually someone the victim knows).